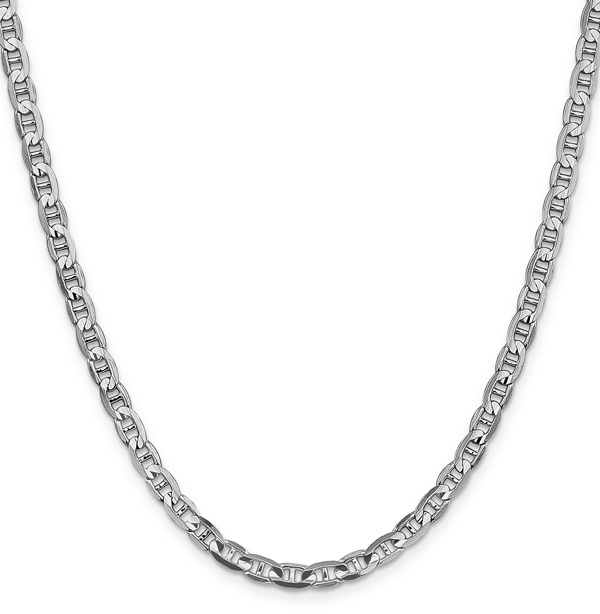 A 14k solid white gold 4.5mm concave mariner chain necklace in your choice of 20" or 24" lengths. 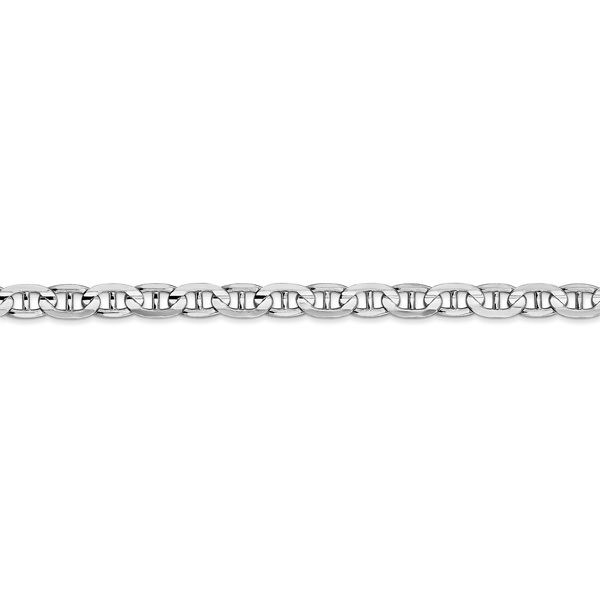 The white gold mariner chain is polished and includes industry standard, secure lobster claw clasp closure. Also available in varying widths, shown below, as well as 14k solid yellow gold. We guarantee our 4.5mm 14K White Gold Mariner Chain Necklace to be high quality, authentic jewelry, as described above.